Video upsizing plug-in for Adobe After Effects 6.5+ and Premiere Pro 2.0. Uses information from neighbor frames to upsize current frame. It provides more details than any known upsize method. 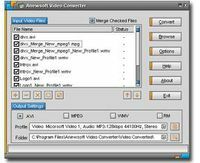 Now you can convert SD video to HD! The plugin contains two modes of super-resolution and a Lanczos resize method which can serve as a fast high-quality replacement for bicubic resize. All modes give much sharper and detailed video than built-in scale transform. The upsize method used in this plugin works only with progressive video (not interlaced). The plugin can also be used to downsize video with good quality. You may use this free trial as long as you want. Unregistered version adds watermark over the video. Register to turn off the watermark.